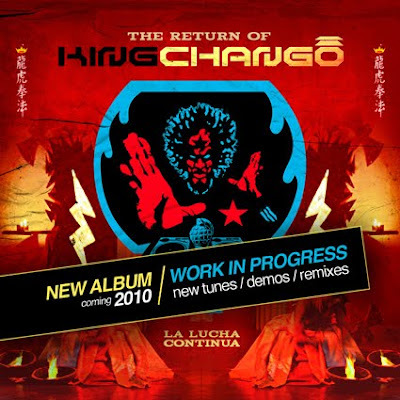 After a long hiatus that has seen him working on solo projects with Mexican band Control Machete, Puerto Rican rappers Calle 13 and Los Amigos Invisibles (on a cover version of the Fabulosos Cadilacs' "Mal Bicho"), Jose Andres Blanco, AKA Blanquito Man is back with a new King Chango album in the works called "The Return of King Chango". The rapscalious Venezuelan rude boy also has a new moniker: "Zuzuko, the Generous Giver of Uku Uku". As a taste of what's to come, here's a cumbia-tastic collaboration Blanquito Man did with Mexican accordion legend Celso Piña from the album "Mundo Colombia".